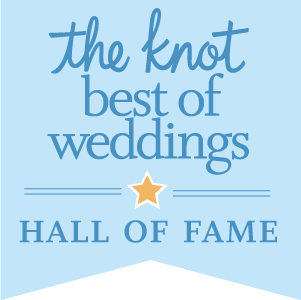 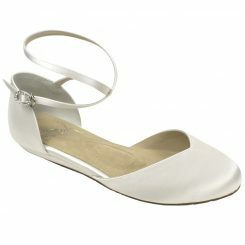 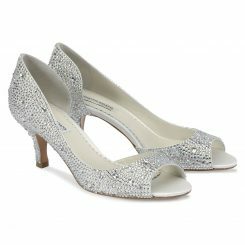 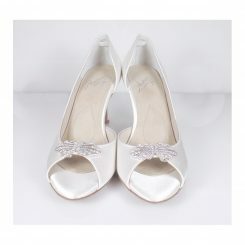 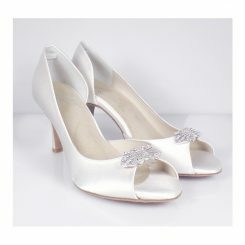 Designer shoes for bridal,evening,and formal attire; select styles dyeable. 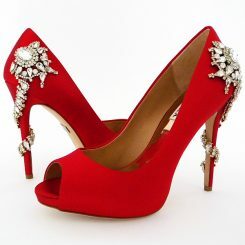 Designer Shoes for the distinguished fashionista. 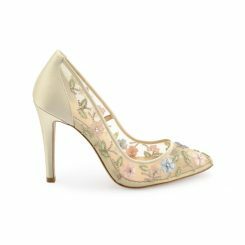 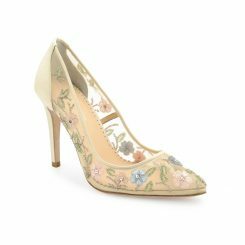 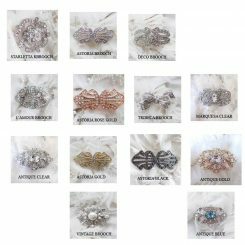 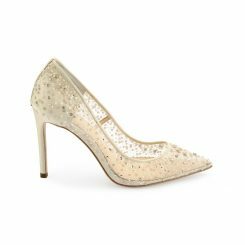 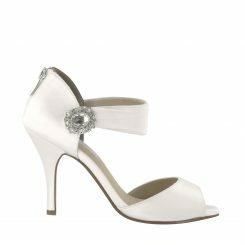 Designer shoes, whether they are for bridal and/or dressy purposes, are beautifully styled and crafted while having the finest quality materials in their manufacturing. 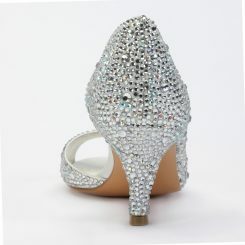 For eye catching bling you can't go wrong with a crystal embellished pair of Badgley Mischka. 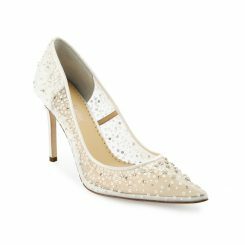 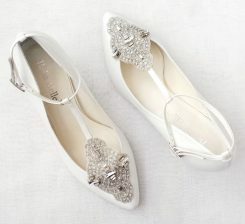 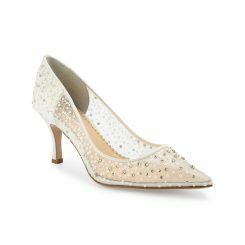 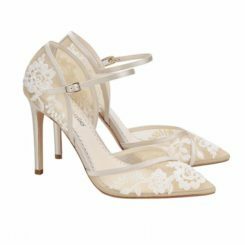 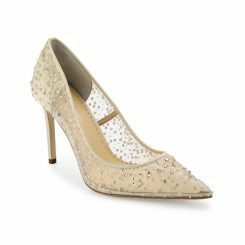 Known for their distinctive use of stones, Badgley Mischka bridal shoes are a favorite of brides everywhere. 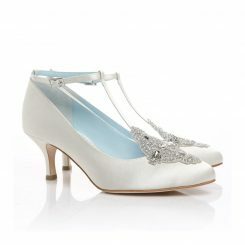 If you are looking for comfort and classic styling, no one does that better than Angela Nuran! 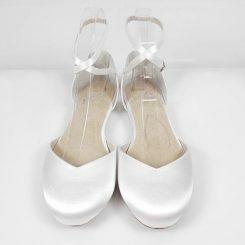 Designed to meet the competitive professional dancers high expectations and the sophisticated and chic lines prominent in today's couture gowns, Angela Nuran's dyeable silk shoes are the most comfortable fashion shoes ever made! 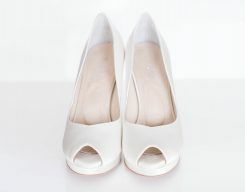 Hand made with the finest materials available, you can't purchase a better made shoe anywhere. 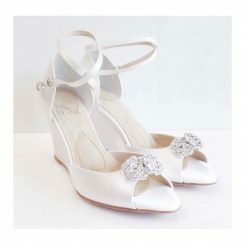 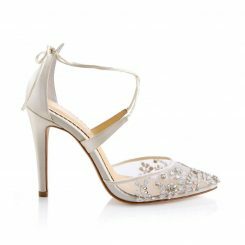 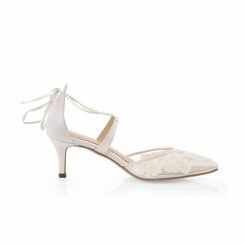 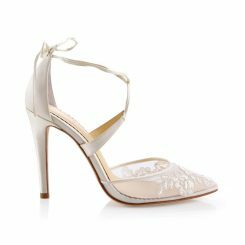 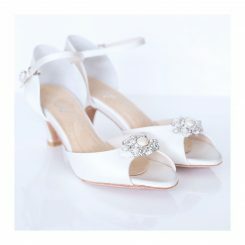 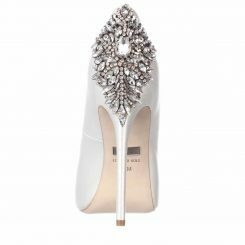 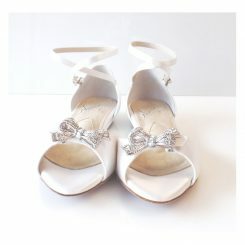 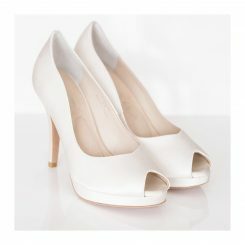 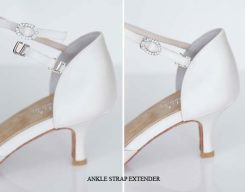 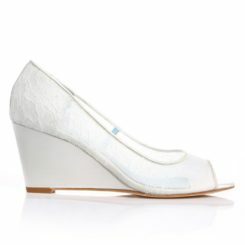 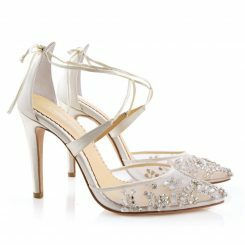 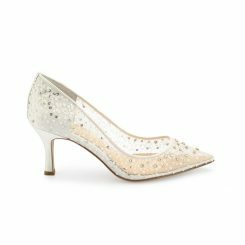 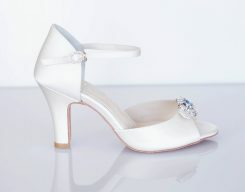 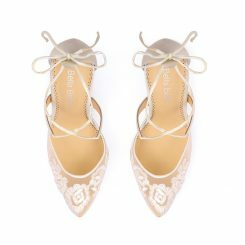 New on the Bridal scene is Bella Belle designer shoes. 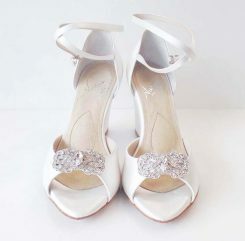 Designer shoes by Bella Belle embrace texture and beading like no other manufacturer on the market. 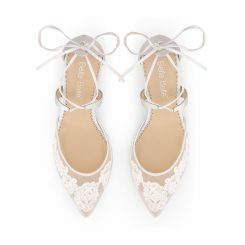 The hand beaded work on theses shoes and the delicate lace used in the styling gives this designer a look of her own.